Looks like Incredibles 2 is finally giving the spotlight to the real hero of the story: Edna E. Mode. And honestly, it’s about time! 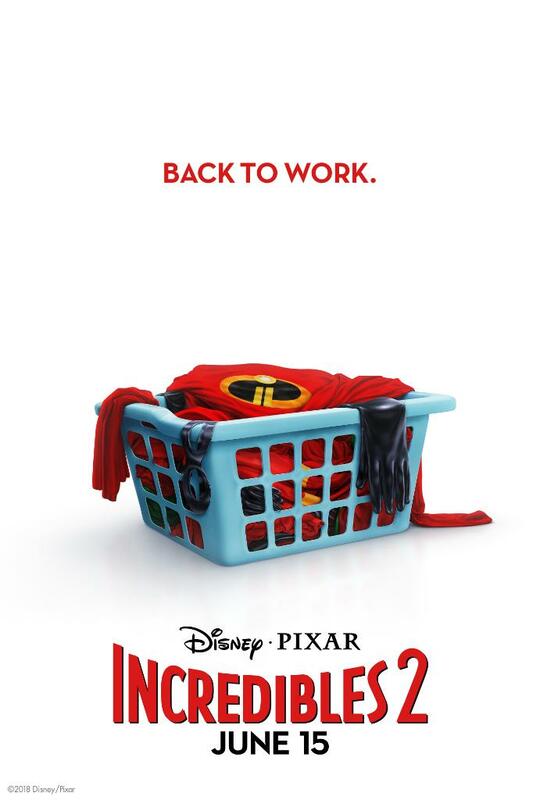 The no-nonsense stylist to the supers is back in the latest poster for the sequel to the hit 2004 animated Disney/Pixar movie Incredibles, and she looks as fabulous as ever. In the black and white poster, Edna’s iconic red lipstick stands out as the only pop of color, and there’s nary a cape in sight, natch. And my god, she has not gotten fat. You can practically hear her barking out, “What is it, who are you, what do you want?” in rapid-fire succession from the poster. 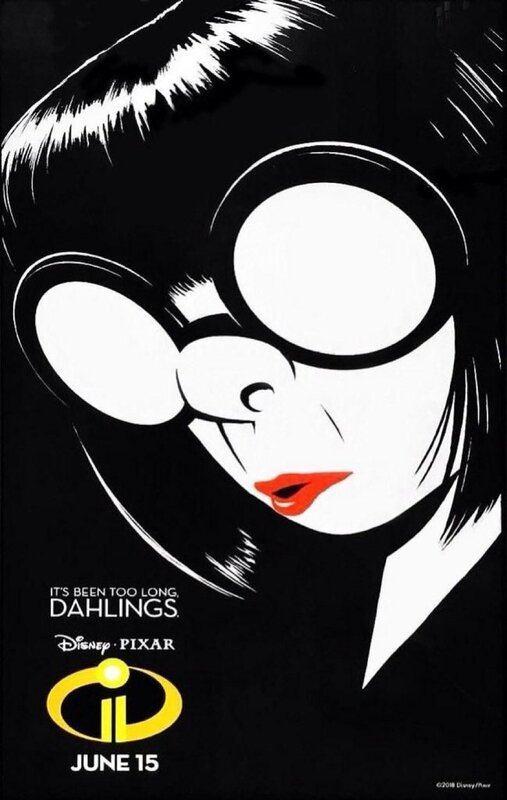 The stunning poster first started popping up in New York City, because it’s New York Fashion Week right now, and cross your fingers we actually get to see Edna Mode take to the runway herself. With the return of the Incredibles, turning the film into a franchise, it’s no doubt that Edna is thrilled about having super clients to work with again. We all remember her disdain about having to work with and design for supermodels…but she never looks back, dahling! Another teaser poster focuses on the family getting “back to work,” but perhaps a load of laundry would do everyone well first. From the new posters, it’s clear that Incredibles 2 is getting the whole gang back together, not just the First Family of Heroes. Brad Bird is returning to direct the sequel, along with cast members Holly Hunter, Craig T. Nelson, Samuel L. Jackson, Bob Odenkirk, Catherine Keener, and more. Incredibles 2 also has a very timely twist, putting Helen at the forefront this time, leaving Bob at home with Violet and Dash to navigate the day-to-day heroics of “normal” life. It’s 2018, y’all — even superheroes are getting on track with feminism! But it’s a tough transition for everyone, made tougher by the fact that the family is still unaware of baby Jack-Jack’s emerging superpowers. When a new villain hatches a brilliant and dangerous plot, the family and Frozone must find a way to work together again — which is easier said than done, even when they’re all Incredible. The formerly retired superheroes also banded together for some Olympics-style fun with this TV promo. Be on the lookout for a real teaser sneak peek during the Olympics coverage on Wednesday.